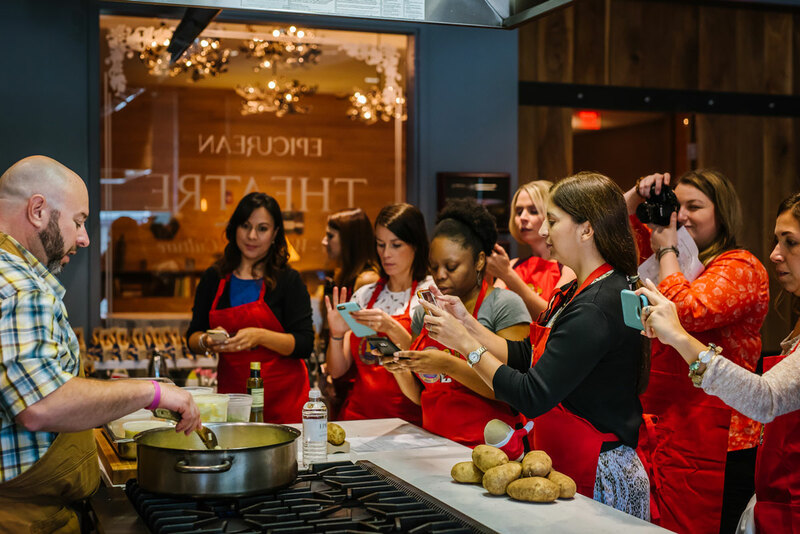 Restaurant Owners, Chefs, Retailers, F&B Brands, Social Media, PR & Marketing Managers – this bootcamp is for you! Digital Word of Mouth is shared with millions of people! Are you a part of that conversation? Learn directly from top bloggers and social media influencers how to engage with your customers online, how to use social media effectively and maximize your marketing efforts! 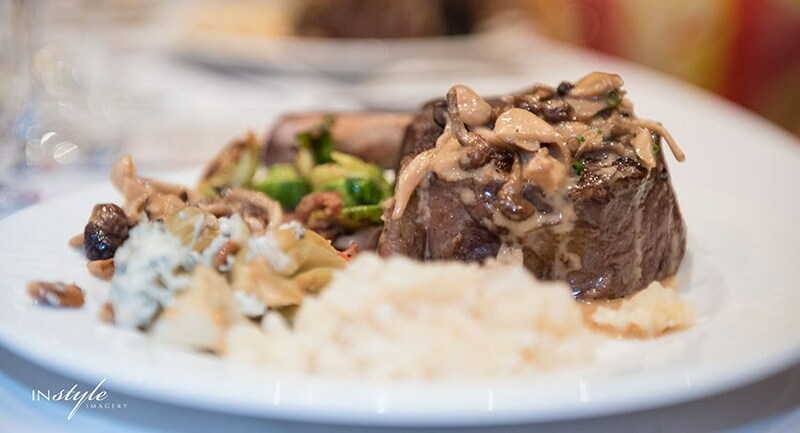 Presented as part of the 5th Anniversary of the successful Food Wine Conference, this one-day seminar was especially designed by Christina Thomas, a former hotel/restaurant executive turned freelance writer and blogger, in conjunction with top bloggers, social media influencers and content developers in Central Florida, to help restaurants and food retailers take advantage of all that influencers and social media have to offer. This innovative workshop is the first of its kind! Presented by bloggers, your most influential consumers. Build strong partnerships with bloggers, influencers and content developers to generate more buzz for your business and maximize your marketing dollars. Learn how to increase your social following to attract and engage potential customers. Build customer loyalty and sales by building stronger customer relationships online. Learn how to create eye catching digital content to promote your business and gain customers at minimal cost. Manage the minefield of online reviews and learn to use Yelp, Trip Advisor and other online review sites to your advantage. Yes, even the negative reviews! Maximize vendor relationships and create synergy in your digital marketing efforts. What does the program consist of? Educational Sessions with a variety of experts in an intimate environment suited for engagement and getting your questions answered. Lunch, Joint Social Media session and Networking with 200+ food bloggers, content developers and social media influencers attending the Food Wine Conference. What do Paula Deen, Shia LeBouf, Martha Stewart and Snoop-Dog have in common? They all have strong and differentiating personal brands. Whether you are an entrepreneur, designer, business owner or senior leader in an organization, who you are matters as much as how you communicate it! Are you attempting to get the attention of tier-1 media or court the ideal client or member of the press? Are you sharing the right type of content to attract the perfect employee to your company? Now more than ever it is important to get your voice heard and establish your reputation on and off-line. Learn the tips and tricks for building your personal brand from the expert that taught several C-Suite executives, business leaders and Ryan Seacrest! Come join Food Wine Conference 2017 as we host Dorothéa Bozicolona-Volpe, Principal of Social Espionage. The Relationship with Bloggers and Social Media Influencers: Is it a one-night stand or a lasting marriage? You decide. How to build a lasting relationship with bloggers and social media influencers to promote your restaurant or food product and create social media buzz. How to find the bloggers and influencers to work with who best suit your brand. What are bloggers and influencers biggest turn ons and turn offs? The Dos and Don’ts of building a solid relationship. 10 ways to collaborate with bloggers and influencers for compelling marketing campaigns. Are bloggers and influencers paid? Learn the ins and outs of compensation. How often and how many bloggers and influencers should you be working with? Why your marketing plan must include a strong social media and digital influencer component. How to maximize your marketing budget by using blogger/influencer and customer-generated content. Do you have a social media strategy? Is it working? Social media platforms are constantly changing. So many platforms, so little time! It’s easy to let your social media become an afterthought. Do you know When to post? What to post? Where to post it? We’ll tell you. The top 10 things you must do that you’re probably not doing when using top platforms like Facebook, Twitter, and Instagram to create customer loyalty and get butts in seats. What to do about other social media platforms like Pinterest, YouTube, Google+, LinkedIn, Snapchat, Tumbler and StumbleUpon? Best social media posts and digital content you could be doing yourself. What content development you should have pros to do for you. Photography and video content is king. Are you creating compelling visual content? Little-known tools you’re probably not taking advantage of to maximize your social media efforts. Who handles your social media strategy? How to find the right people who will benefit your bottom line. Everyone hates ads but is Social Advertising right for you? How to do it right even on a small budget. Everything You Want To Know About Facebook Live! Facebook Live is the hottest social media tool. Are you taking advantage of it to make your customers hungry and ready to buy what you’re selling? Learn Technical How-Tos of going live on Facebook. Tips and Trick for Timing and Lighting like the pros. Avoid epic fails! Learn who to target? When and how often? How can you monetize FB live? Amanda Rettke of iambaker.net has over 1.7 million followers on Facebook. You’ll want to hear how she captivates her audience and generates millions of views with her delicious cakes and fun videos. The “InstaFood” hashtag has over 81 million posts on Instagram alone! Learn quick food styling, photography and video tips from food content creators to help you create posts your customers will happily give their “heart” to. Learn the dos and don’ts of food photography in restaurant settings. Best Tips to use your smart phone to create eye-catching photos and videos. How to style your food photos like the pros. Learn the easiest photo editing tips to give your photos the look and feel you want. Tips to use Instagram Stories, Slide Shows, Boomerang and Video. Are you using captions and hashtags to communicate your story and get the message across? Networking Lunch & #Hashed Competition: Let’s #InstaFood! Join bloggers and influencers attending Food Wine Conference for a fun interactive lunch and round table discussion to learn more about how to work with influencers and create fun social media collaborations. Then, collaborate in an exciting #Hashed competition designed to put what you’ve learned to the test! Are you ready to create #InstaFood? Online Reviews Drive You Crazy? 97% of consumers read online reviews to judge local businesses. Restaurants rank at the top of the list for businesses most reviewed and selected based on reviews. Are you ignoring your online reviews or are you turning them to gold? Learn how to use Yelpers, Trip Advisors, Bloggers and other online reviewers to your advantage, even when the comments are negative. How transparent are you? Learn the benefits of negative reviews and how to use online review sites to your advantage. Are you checking all review sources? (Google, Facebook, Open Table, etc.). How to do this with as little effort as possible. How to best respond to online reviews to build loyalty and maintain your online reputation. Do you reward reviewers? Why you’re probably doing it wrong. Panel of influencers who regularly post on Yelp and other review sites and print publications and experts who manage reviews response for restaurants / food service providers. How to identify the best brands to partner with. Ideas for effective synergy in the most unexpected ways. Review of successful joint social media campaigns featuring food brands and food service outlets and how they made the partnership work. How to work with influencer groups to create an impactful campaign with greater reach. Get the latest updates every week! 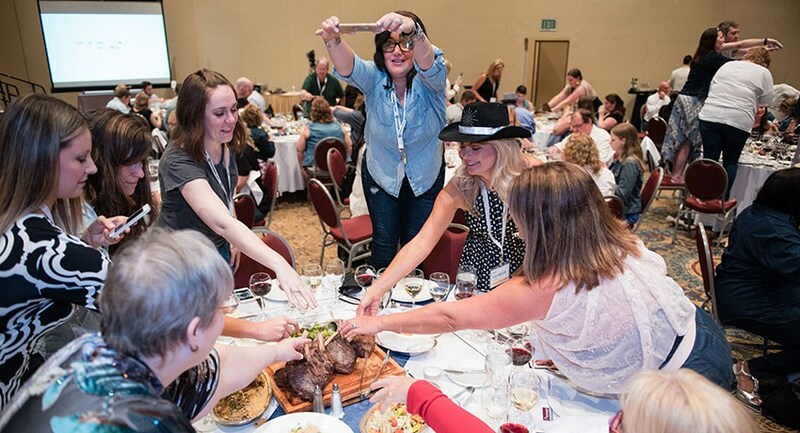 The Food and Wine Conference brings together bloggers, small business owners, winemakers, chefs, public relations professionals, traditional media, new media, authors and brands. This is the conference to inspire, empower and make a difference in your business and the lives of others. Sunday Supper and its products and events, including the Sunday Supper Food Wine Conference, are not associated, affiliated, or endorsed by Time, Inc.